Wonder Woman from Nirvana seeds is a big yielding cannabis strain with skunk #1 and white widow in its genetics makeup. 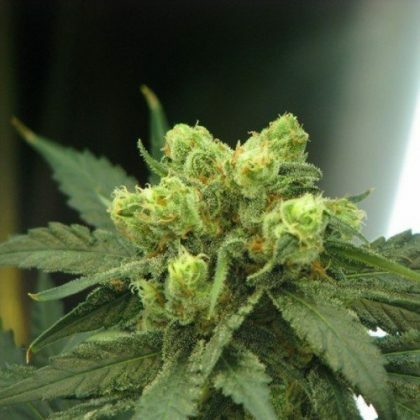 Nirvana seeds wonder woman can produce over half a kilo per metre square in the right environment so makes for a very good commercial cannabis strain. The flavour is skunky as you would expect and the effect is uplifting and euphoric with a long lasting buzz. Nirvana Wonder Woman is another one of those fabulous new high-volume marijuana strains. Wonder Woman bears rock hard buds which are easy to trim. The smoke of this cannabis variety has a classic, rich, skunky flavour accompanied by a long-lasting buzz and massive yields.